30 October / 9 November 1683 O.S./N.S. 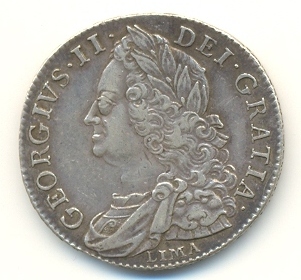 George II (George Augustus; German: Georg II. August; 30 October / 9 November 1683 O.S./N.S. – 25 October 1760) was King of Great Britain and Ireland, Duke of Brunswick-Lüneburg (Hanover) and a prince-elector of the Holy Roman Empire from 11 June 1727 (O.S.) until his death in 1760. Northern Germany is the region in the northern part of Germany which exact area is not precisely or consistently defined. It varies depending on whether one has a linguistic, geographic, socio-cultural or historic standpoint. The five coastal states are regularly referred to as Northern Germany. Though geographically in the northern half of Germany, Westphalia, Brandenburg, and the northern parts of Saxony-Anhalt are rarely referred to as Northern Germany and instead are almost always associated with Western Germany and the historic East Germany respectively. Frederick, Prince of Wales, KG, was heir apparent to the British throne from 1727 until his death from a lung injury at the age of 44 in 1751. 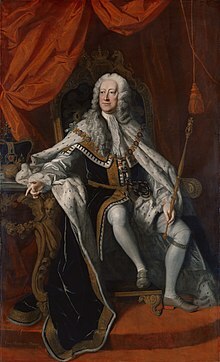 He was the eldest but estranged son of King George II and Caroline of Ansbach, and the father of King George III. 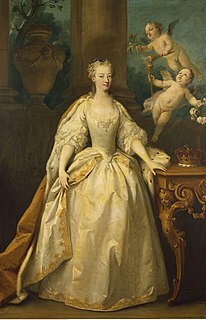 The War of the Austrian Succession involved most of the powers of Europe over the issue of Archduchess Maria Theresa's succession to the Habsburg Monarchy. The war included peripheral events such as King George's War in British America, the War of Jenkins' Ear, the First Carnatic War in India, the Jacobite rising of 1745 in Scotland, and the First and Second Silesian Wars. George II was succeeded by his grandson George III, and was buried on 11 November in Westminster Abbey. He left instructions for the sides of his and his wife's coffins to be removed so that their remains could mingle. He is the most recent monarch to be buried in Westminster Abbey. ^O.S./N.S. Over the course of George's life, two calendars were used: the Old Style Julian calendar and the New Style Gregorian calendar. Before 1700, the two calendars were 10 days apart. Hanover switched from the Julian to the Gregorian calendar on 19 February (O.S.) / 1 March (N.S.) 1700. Great Britain switched on 3/14 September 1752. George was born on 30 October Old Style, which was 9 November New Style, but because the calendar shifted forward a further day in 1700, the date is occasionally miscalculated as 10 November. In this article, individual dates before September 1752 are indicated as either O.S. or N.S. or both. All dates after September 1752 are N.S. only. All years are assumed to start from 1 January and not 25 March, which was the English New Year. ↑ Black, George II, pp. 35–36; Thompson, p. 19; Van der Kiste, p. 7. 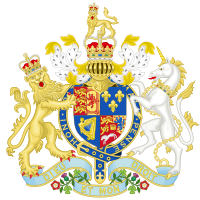 ↑ Union with Scotland Act 1706 and Union with England Act 1707, The National Archives, retrieved 20 September 2011. 1 2 Van der Kiste, p. 17. ↑ Van der Kiste, p. 15. ↑ Thompson, p. 30; Van der Kiste, p. 16. ↑ Thompson, p. 31; Van der Kiste, p. 18. ↑ Van der Kiste, p. 19. ↑ Van der Kiste, p. 21. ↑ Thompson, p. 32; Trench, p. 18; Van der Kiste, p. 22. ↑ Van der Kiste, p. 23. ↑ Van der Kiste, p. 36. ↑ Trench, p. 38; Van der Kiste, p. 37. ↑ Thompson, pp. 39–40; Trench, p. 39. ↑ Van der Kiste, p. 37. ↑ Trench, p. 55; Van der Kiste, p. 44. ↑ Trench, pp. 63–65; Van der Kiste, p. 55. ↑ Van der Kiste, p. 59. ↑ Black, George II, p. 45; Thompson, p. 47. ↑ Trench, p. 75; Van der Kiste, p. 61. ↑ Black, George II, p. 46; Thompson, p. 53; Trench, p. 78. ↑ Van der Kiste, pp. 66–67. ↑ Trench, pp. 67, 87. ↑ Thompson, pp. 48–50, 55. ↑ Trench, pp. 79, 82. ↑ Van der Kiste, p. 71. ↑ Thompson, p. 57; Trench, pp. 88–90; Van der Kiste, pp. 72–74. ↑ Black, George II, p. 52; Thompson, p. 58; Trench, p. 89. ↑ Black, George II, p. 54; Thompson, pp. 58–59. ↑ Thompson, p. 45; Trench, p. 107. 1 2 Van der Kiste, p. 97. ↑ Black, George II, p. 88; Cannon; Trench, pp. 130–131. ↑ Black, George II, p. 77. ↑ Black, George II, p. 80; Trench, p. 132. ↑ Black, George II, pp. 81–84; Black, Walpole in Power, pp. 29–31, 53, 61. ↑ Van der Kiste, p. 95. ↑ Black, George II, p. 95. ↑ Trench, pp. 173–174; Van der Kiste, p. 138. ↑ Black, George II, pp. 141–143; Thompson, pp. 102–103; Trench, pp. 166–167. ↑ Trench, pp. 141–142; Van der Kiste, pp. 115–116. ↑ Thompson, pp. 85–86; Van der Kiste, pp. 118, 126, 139. ↑ Van der Kiste, p. 118. ↑ Trench, pp. 182–184; Van der Kiste, pp. 149–150. ↑ Trench, p. 185–187; Van der Kiste, p. 152. ↑ Van der Kiste, p. 153. ↑ Black, George II, p. 136; Thompson, pp. 7, 64; Trench, p. 150. ↑ Trench, pp. 189–190; Van der Kiste, pp. 153–154. ↑ Thompson, p. 120; Trench, p. 192; Van der Kiste, pp. 155–157. ↑ Trench, p. 196; Van der Kiste, p. 158. ↑ Hervey's Memoirs, vol. III, p. 916, quoted in Thompson, p. 124, and Van der Kiste, p. 165. ↑ Thompson, p. 124; Trench, p. 199. ↑ Thompson, p. 92; Trench, pp. 175, 181. ↑ Van der Kiste, pp. 25, 137. ↑ Black, George II, p. 157; Kilburn; Weir, p. 284. ↑ Thompson, pp. 133, 139. ↑ Black, George II, p. 174; Trench, p. 212. ↑ Black, George II, p. 86. ↑ Black, George II, p. 111; Trench, pp. 136, 208; Van der Kiste, p. 173. ↑ Black, George II, pp. 181–184; Van der Kiste, pp. 179–180. ↑ Black, George II, pp. 185–186; Thompson, p. 160; Van der Kiste, p. 181. ↑ Black, George II, pp. 190–193; Thompson, pp. 162, 169; Trench, pp. 234–235. ↑ Black, George II, pp. 164, 184, 195. ↑ Black, George II, pp. 190–193; Cannon; Trench, pp. 234–235. ↑ Van der Kiste, p. 184. ↑ Black, George II, pp. 190–191. ↑ Van der Kiste, pp. 186–187. ↑ Black, George II, p. 199; Trench, p. 243; Van der Kiste, p. 188. ↑ Van der Kiste, p. 189. ↑ Thompson, p. 208; Trench, p. 247. ↑ Black, George II, pp. 207–211; Thompson, p. 209; Trench, p. 249; Van der Kiste, p. 195. ↑ Horace Walpole's memoirs, vol. I, p. 152, quoted in Thompson, p. 213 and Trench, p. 250. ↑ Black, George II, pp. 231–232; Thompson, p. 252; Trench, pp. 271–274. ↑ Thompson, pp. 265–266; Trench, p. 283. ↑ Thompson, p. 268; Trench, p. 284. ↑ Horace Walpole's memoirs, vol. III, p. 61, quoted in Trench, p. 286. ↑ Thompson, p. 276; Trench, p. 286. ↑ Thompson, p. 270; Trench, p. 287. ↑ Thompson, p. 275; Trench, p. 292; Van der Kiste, p. 212. ↑ Thompson, pp. 289–290; Van der Kiste, p. 213. 1 2 Nicholls, Frank (1761) "Observations concerning the body of His Late Majesty", Philos Trans Lond52: 265–274. ↑ Van der Kiste, p. 213. ↑ Criado, Frank J. (2011) "Aortic dissection: a 250-year perspective", Texas Heart Institute Journal38 (6): 694–700. ↑ Black, George II, p. 253; Thompson, p. 290. ↑ Van der Kiste, between pp. 150 and 151. ↑ Black, George II, pp. 68, 127. ↑ Black, George II, p. 127; Thompson, pp. 97–98; Trench, p. 153. ↑ Black, George II, p. 128; Trench, pp. 140, 152. ↑ Black, George II, p. 128. ↑ Black, George II, pp. 255–257. ↑ Black, George II, pp. 257–258. ↑ Black, George II, pp. 258–259. ↑ Black, George II, pp. 144–146; Cannon; Trench, pp. 135–136. ↑ Black, George II, p. 195. ↑ Black, George II, p. 82; Trench, p. 300; Lord Waldegrave's Memoirs quoted in Trench, p. 270. ↑ Charlemont quoted in Cannon and Trench, p. 299. ↑ Quoted in Trench, p. 270. ↑ Black, George II, p. 138; Cannon; Trench, p. 300. ↑ Quoted in Black, George II, p. 254. ↑ e.g. "No. 5264". The London Gazette . 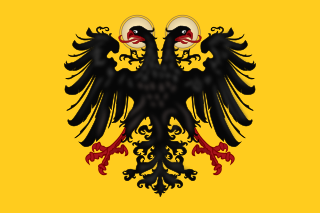 28 September 1714. p. 1. ↑ Pinches and Pinches, p. 206. 1 2 3 4 5 6 Weir, pp. 272–275. 1 2 Haag et al., pp. 347–349. ↑ Van der Kiste, p. 39. ↑ Van der Kiste, p. 63. 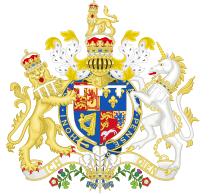 Wikimedia Commons has media related to George II of Great Britain . Prince William Augustus, Duke of Cumberland,, was the third and youngest son of King George II of Great Britain and Ireland and his wife, Caroline of Ansbach. He was Duke of Cumberland from 1726. He is best remembered for his role in putting down the Jacobite Rising at the Battle of Culloden in 1746, which made him immensely popular throughout Britain. He is often referred to by the nickname given to him by his Tory opponents: 'Butcher' Cumberland. Despite his triumph at Culloden, he had a largely unsuccessful military career. Between 1748 and 1755 he attempted to enact a series of army reforms that were resisted by the opposition and by the army itself. 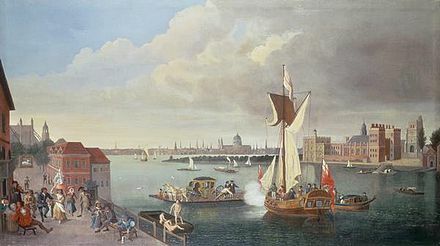 Following the Convention of Klosterzeven in 1757, he never again held active military command and switched his attentions to politics and horse racing. Alexander was King of Greece from 11 June 1917 until his death three years later, at the age of 27, from the effects of a monkey bite. Olga Constantinovna of Russia was Queen consort of the Hellenes as the wife of King George I. She was briefly the regent of Greece in 1920. Sophia of Prussia was Queen consort of Greece during 1913–1917 and 1920–1922. 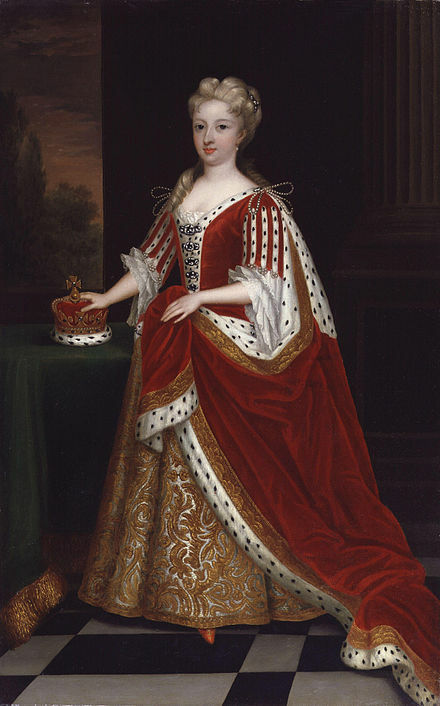 Princess Caroline of Great Britain was the fourth child and third daughter of King George II of Great Britain and his wife Caroline of Ansbach. Prince George William of Great Britain was an infant member of the British royal family, second son of King George II and Caroline of Ansbach who, at the time of his birth, were the Prince and Princess of Wales. He died aged 3 months, 4 days. Princess Eleonore Erdmuthe Louise of Saxe-Eisenach, was a German princess member of the House of Wettin and through her two marriages was Margravine of Brandenburg-Ansbach and Electress of Saxony.